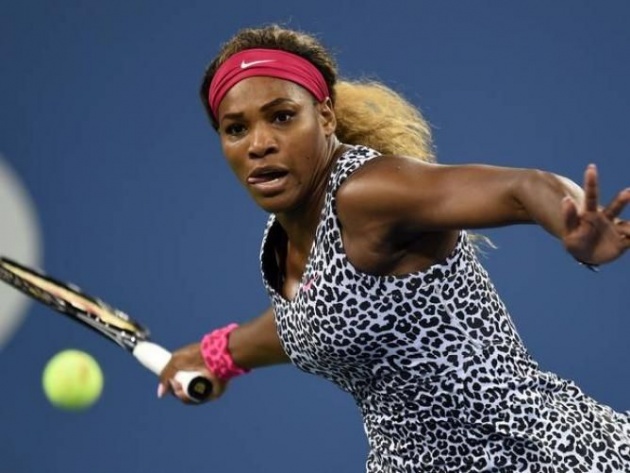 Serena Williams, a 34 year old woman who is a professional tennis player from United States of America.She is currently ranked world number 1 in singles and she is one of those few players who has achieved the feat of becoming the world number 1 in both, singles and doubles.She is also the oldest woman to become the world number 1.She is a right-handed player and is famous for her powerful serve in women's tennis.She has won altogether(in singles and doubles) 91 titles in her career so far and she is still playing.She turned pro in 1995 when she was only 14 years old young girl. 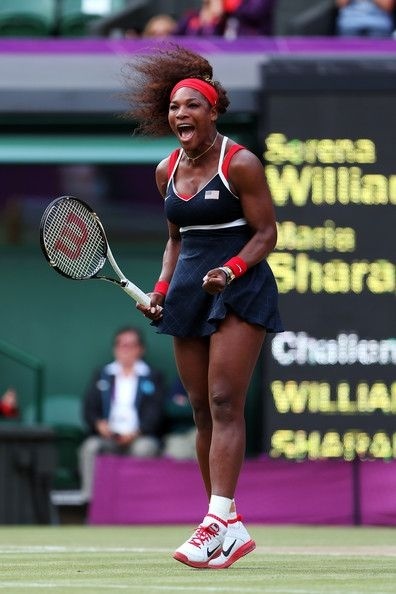 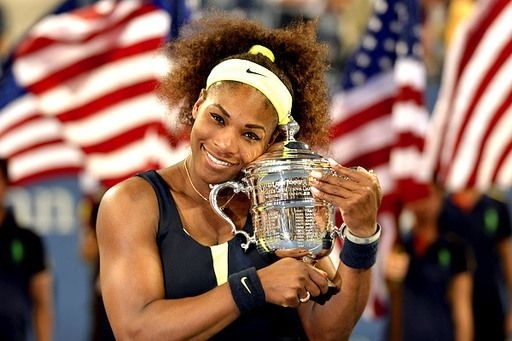 She has won four Olympic gold medals which is the highest number of medals won by any female tennis player and not only this she is the only player to have achieved a career golden slam(to win all four Grand Slams and Olympic gold medal in his/her career) in both singles and doubles.She is also the oldest player to win a Grand Slam which she achieved by winning the 2015 Wimbledon. 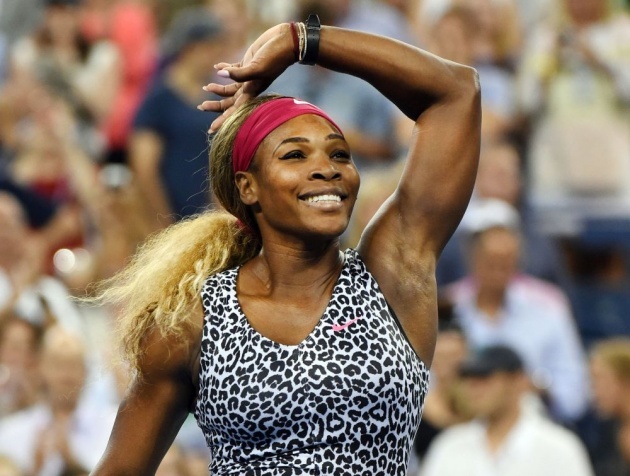 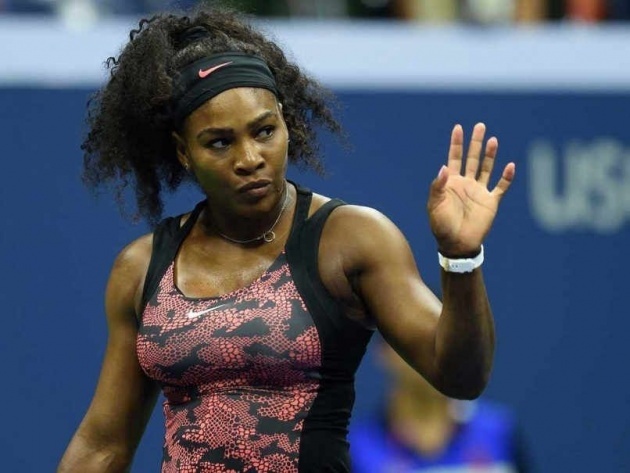 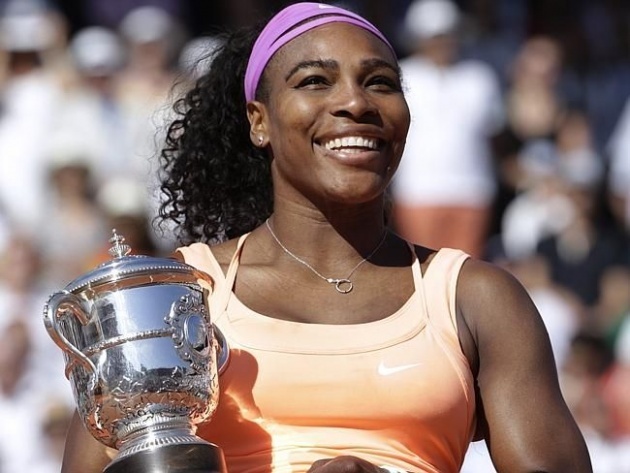 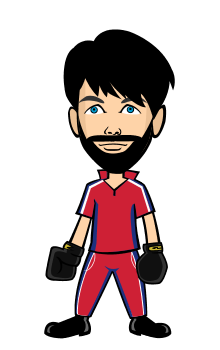 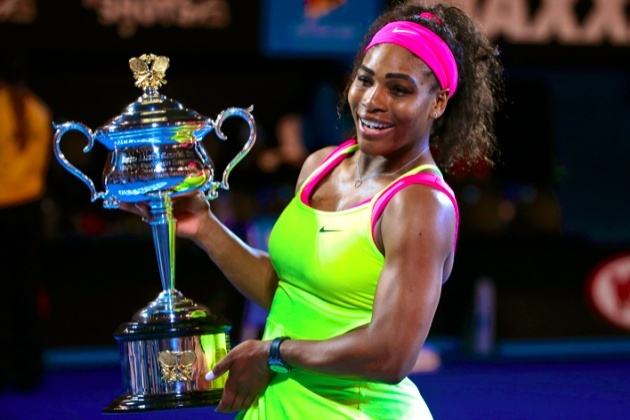 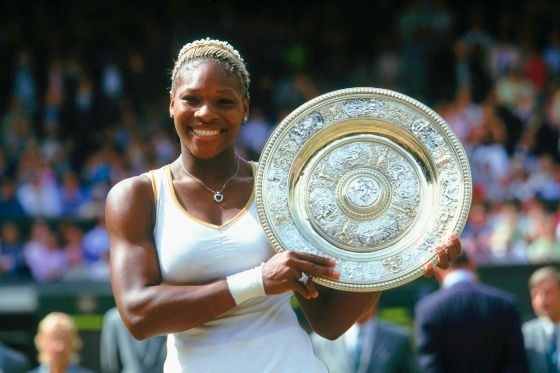 Serena Williams is the current world number 1 in singles.She became the world number 1 for the first time in 2002.She has a career record of 737-123 with a winning percentage of 85.7%.She has 69 career titles to her name in singles which is the 5th most in women's tennis.Her 69 career titles include 21 Grand Slam titles, which is the third most in the all time list of most Grand Slam titles in women's tennis.She has won all the four Grand Slams more than twice.She also holds the record of the fastest serve in women's tennis. 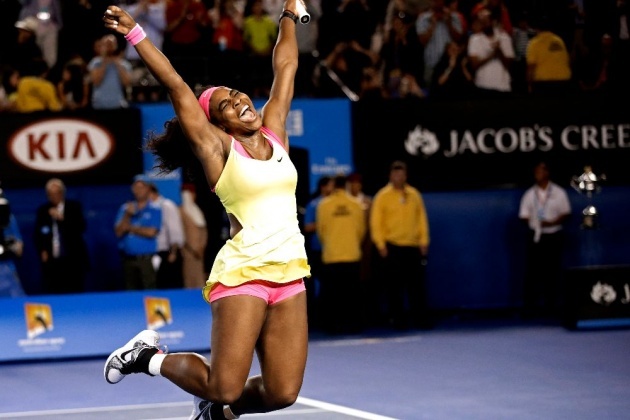 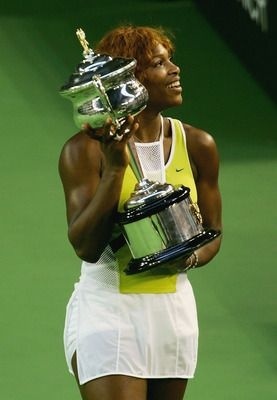 She is also regarded as the greatest female tennis player ever till date. 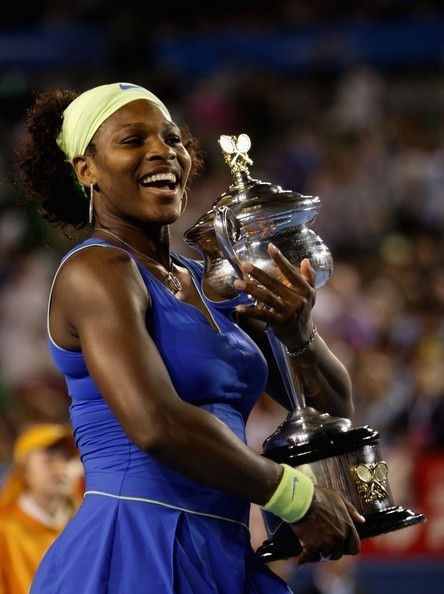 Serena Willliams started the year as the world number 1 and maintained her position throughout the year as she ended the year exactly where she was at the beginning.She had a flawless season/year.She won 5 titles which include 3 Grand Slam titles.She only lost 3 matches in the whole season, whereas she won 53 matches with a winning percentage of 94.64%.Her only 3 defeats came against Petra Kvitova, Belinda Bencic and Roberta Vinci. 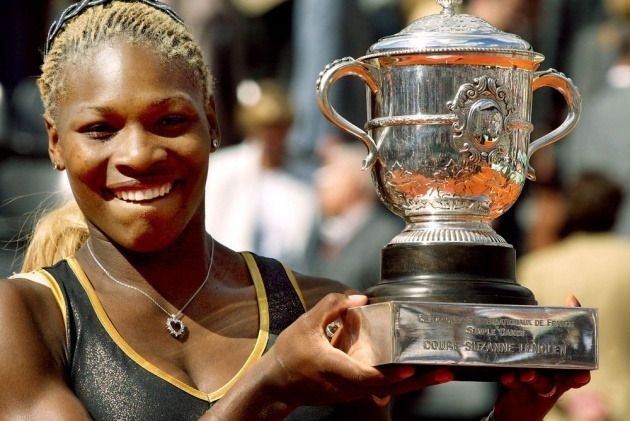 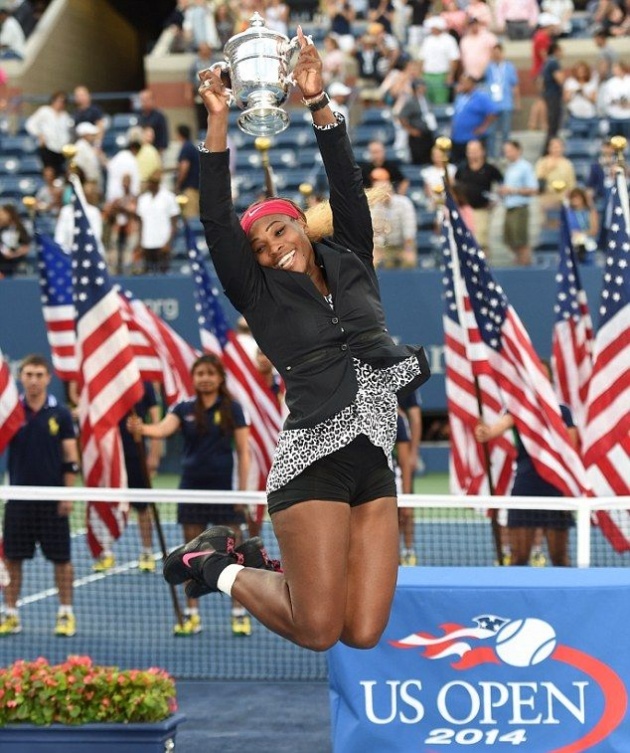 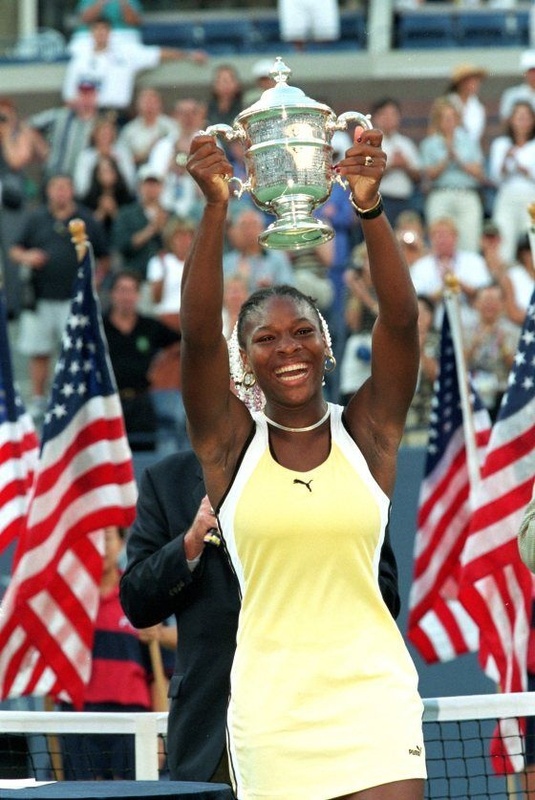 She won all the four Grand Slams of the year in 2002, which was then called as the 'Serena Slam'.She was about to complete her second 'Serena Slam' in 2015(this year) but surprisingly lost in the semi final of the US Open to the veteran, Roberta Vinci in three nail-biting sets which was a great shocking lost.Many called that win of Roberta as the greatest win in women's tennis as Serena was in super-form the whole year and particularly in that tournament. 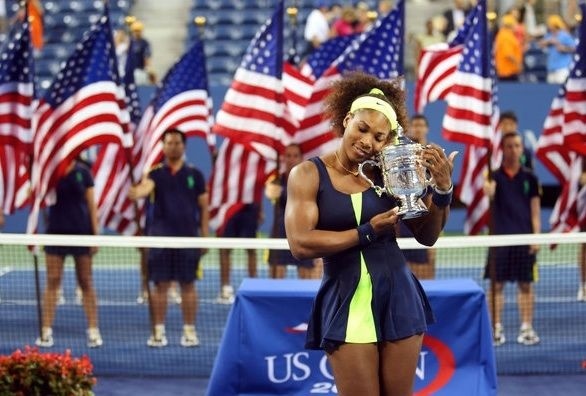 Serena Williams has won six US Open titles so far in her career and she won those titles in 1999, 2002, 2008, 2012, 2013, and 2014.Her 1999 US Open title was Serena's first ever Grand Slam title.Just like Wimbledon, she has been to the final of the US Open eight times but managed to win it six times only.She lost the 2001 final to her sister, Venus and 2011 final to the Australian, Samantha Stosur.Serena won three consecutive US Open titles from 2012-2014.Her streak ended in 2015 as she lost the semi final to the Italian veteran, Roberta Vinci. 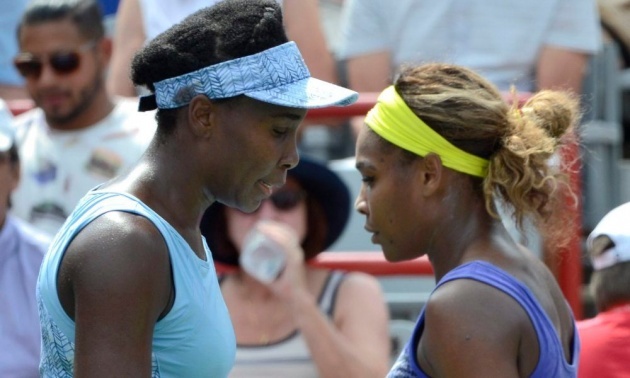 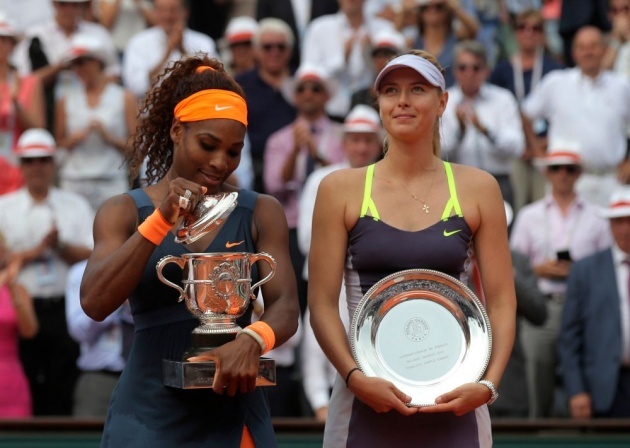 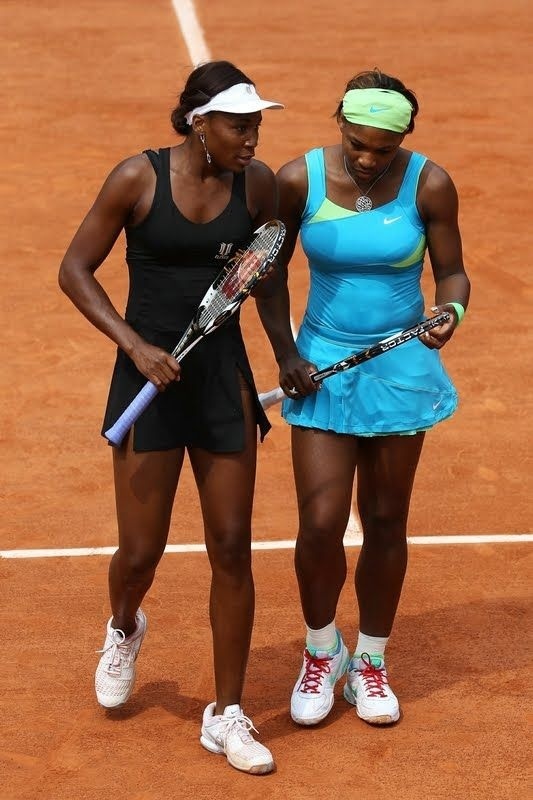 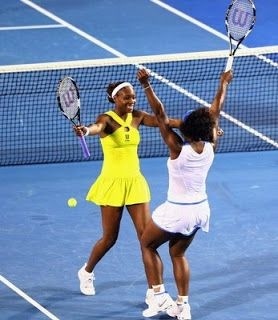 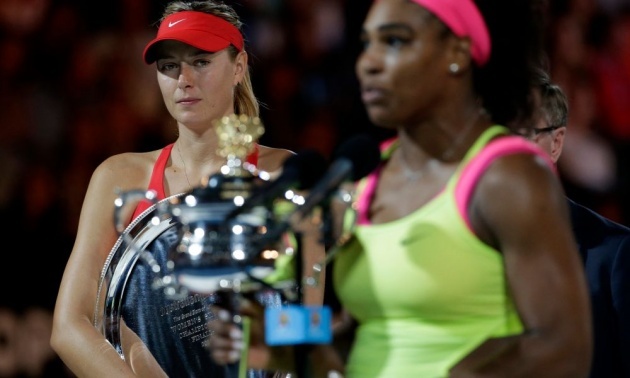 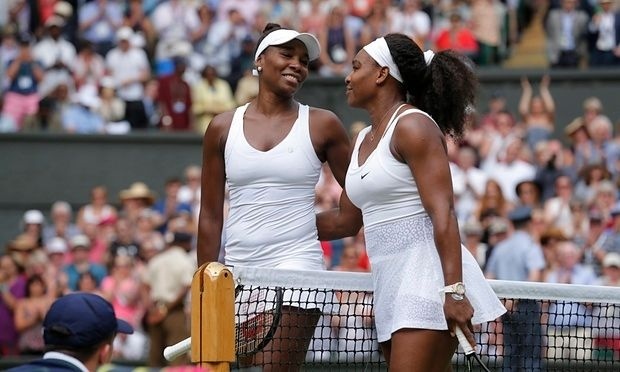 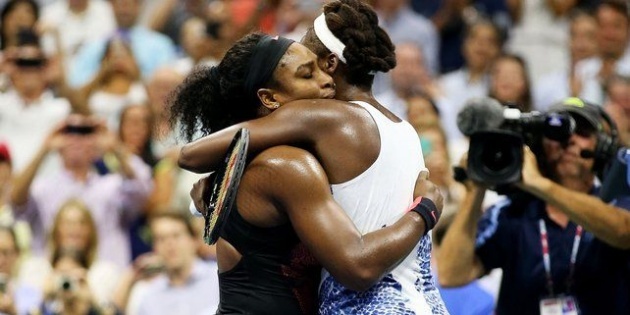 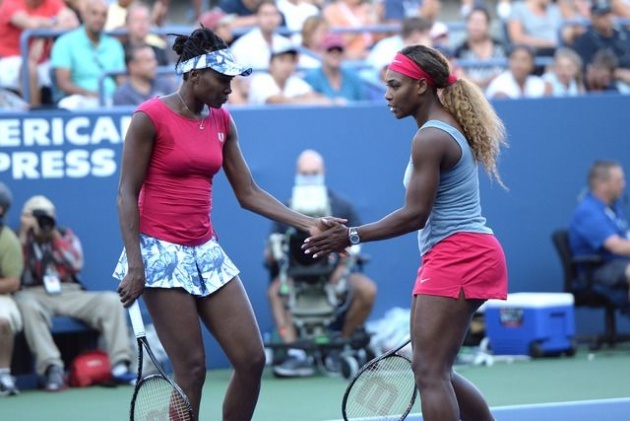 They both have played each other 20 times.Out of those 20 times, Serena has out classed the Russian 18 times.Sharapova's last win came against her in 2004 and since then Sharapova hasn't been able to beat her.They both have met 7 times in the Grand Slams,Serena has won 6 and lost one and that one defeat came in the 2004 Wimbledon final when Sharapova was only 16 years old. 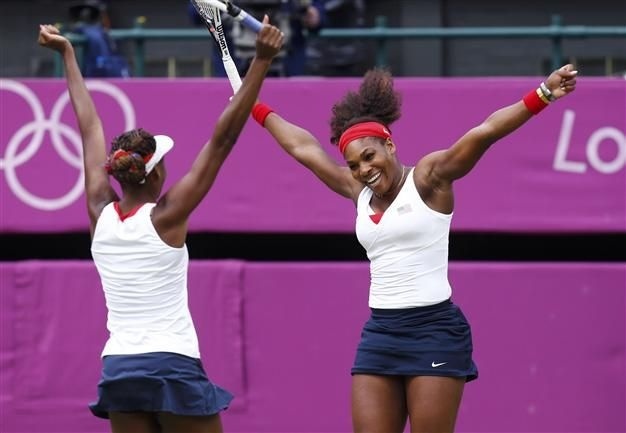 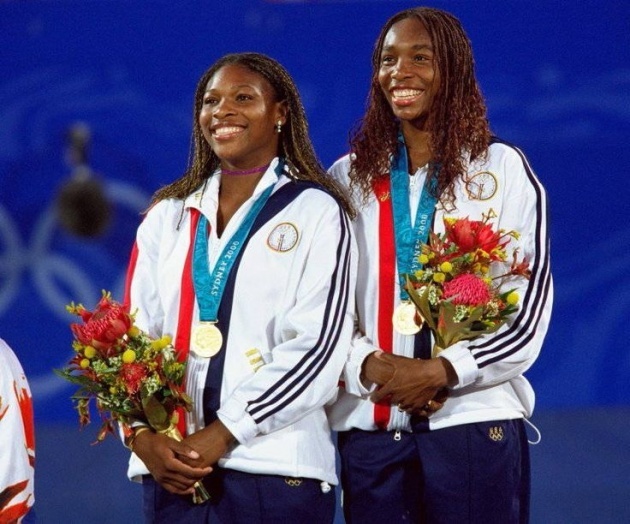 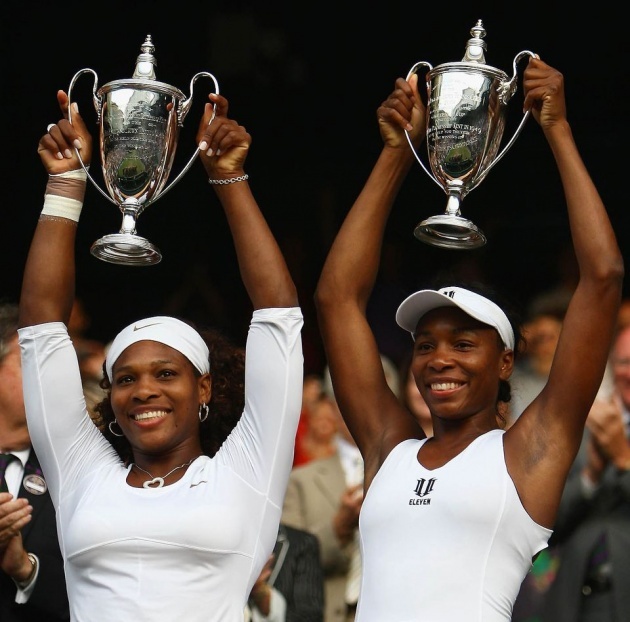 Serena Williams has been the world number 1 in doubles as well.Her doubles partner is her own elder sister, Venus Williams.Serena became the world number in doubles for the first time in 2010. 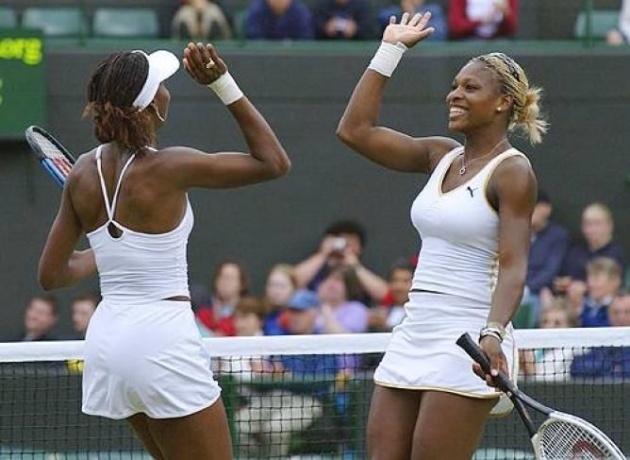 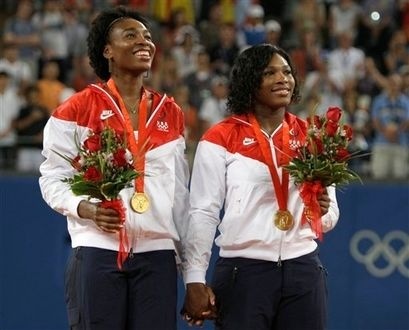 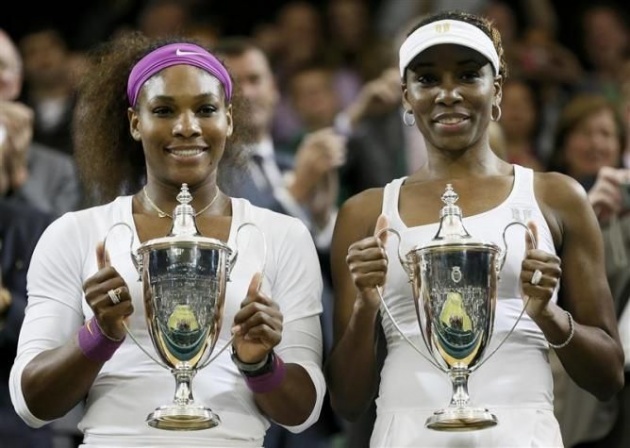 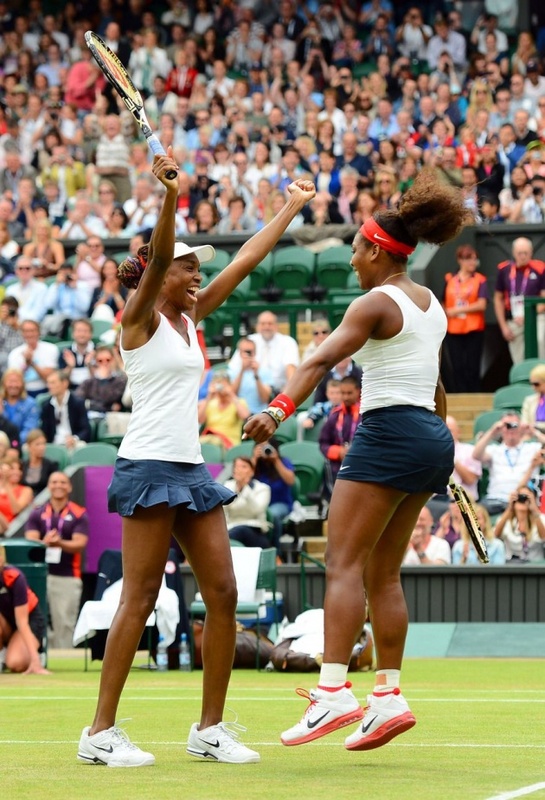 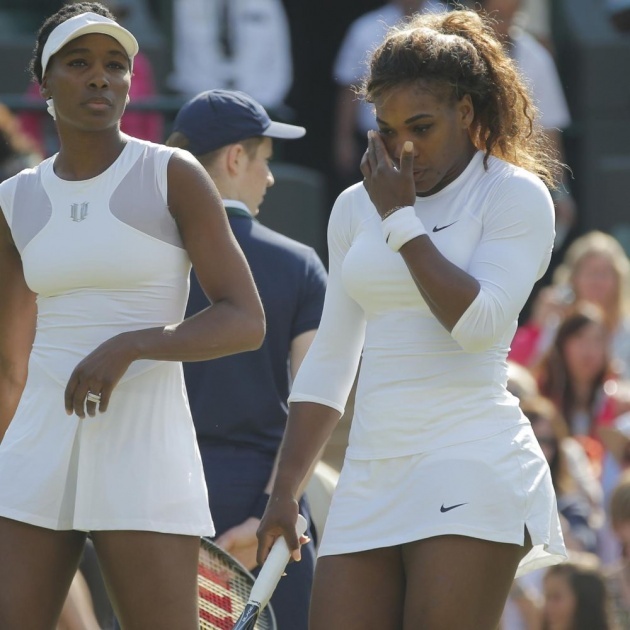 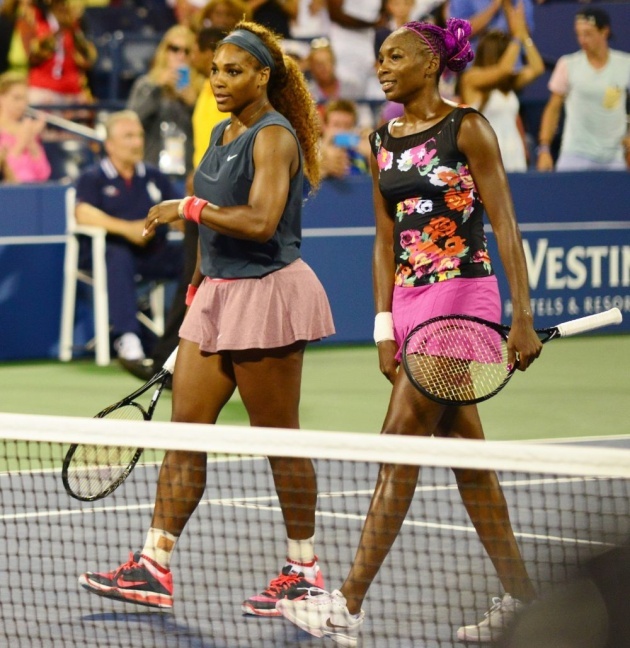 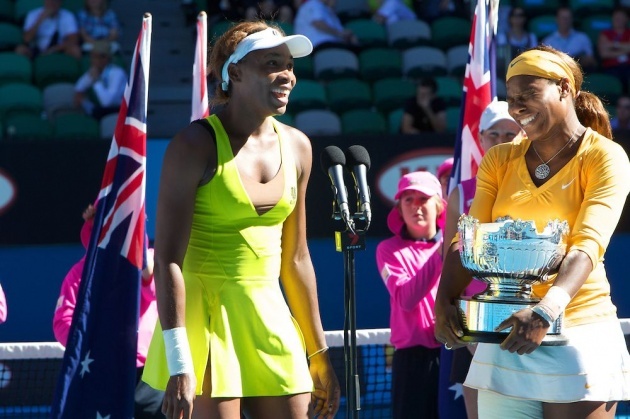 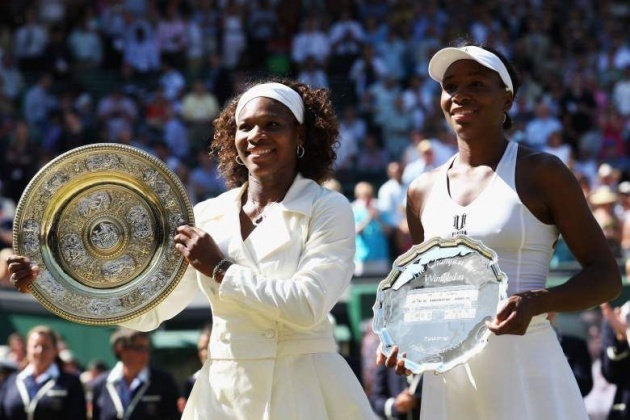 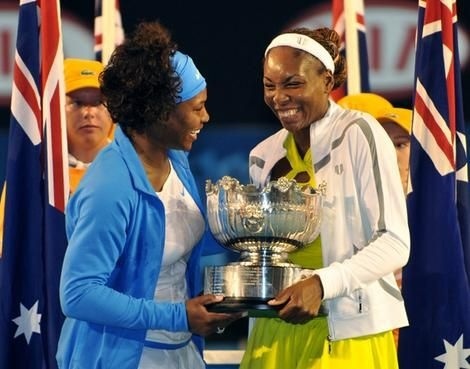 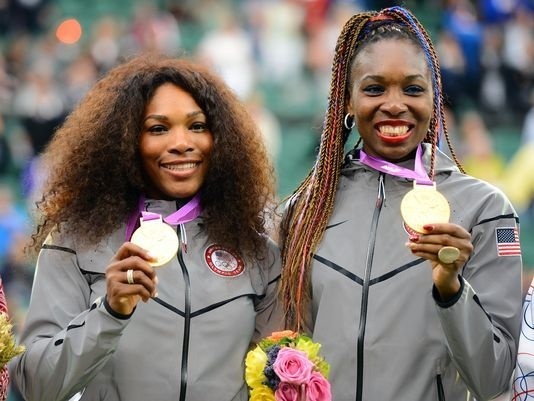 Serena has won 22 doubles titles which include 13 Grand Slam doubles titles.She has won all her Grand Slam doubles titles with her sister and out of her 22 doubles titles, she has won 21 with her sister, Venus.Serena and Venus have lost only one final till now as a pairing. 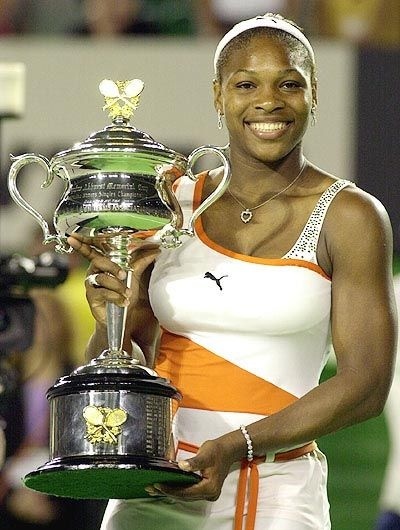 Serena Williams has won 4 Australian Open titles so far in her career and all 4 titles she won with her sister.They've won the Australian Open in 2001, 2003, 2009 and 2010. 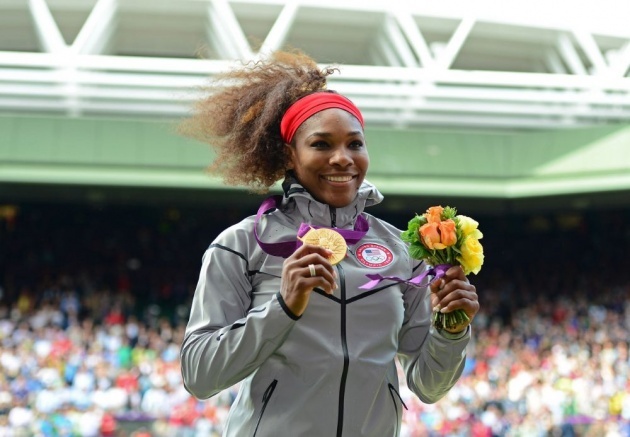 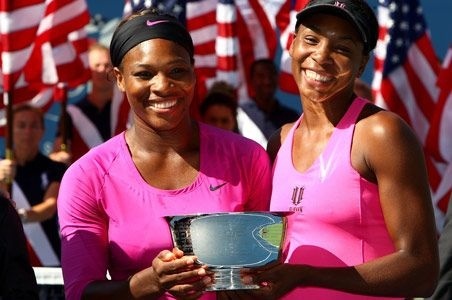 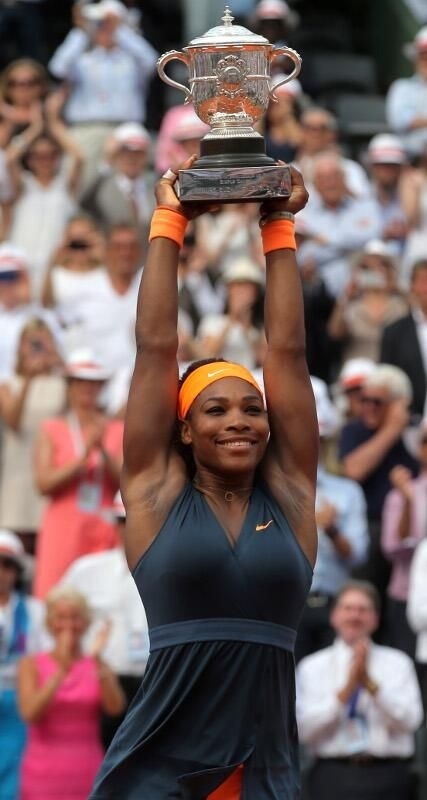 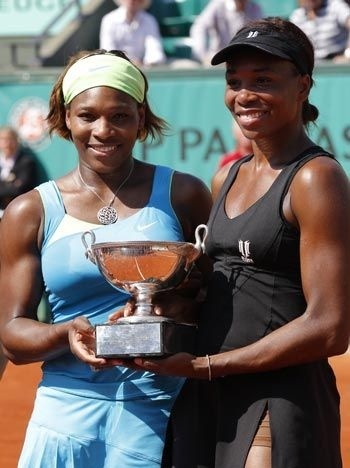 Serena has won two French Open titles with her sister.They won it in 1999 and 2010. 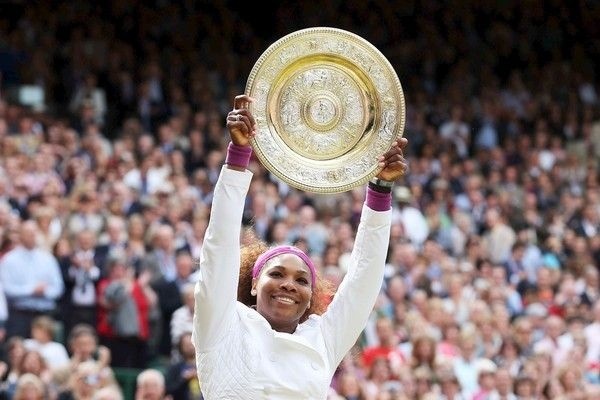 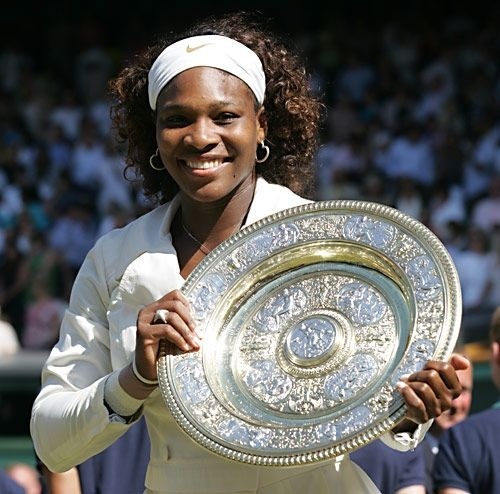 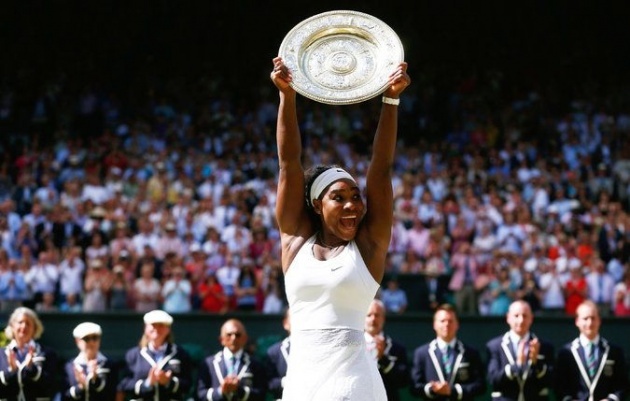 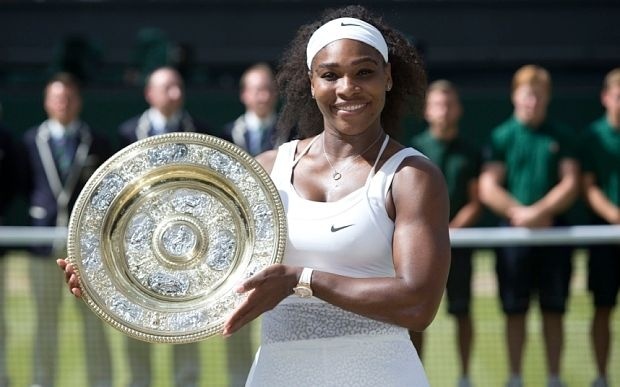 Serena is a five time Wimbledon doubles champion and as the all other Grand Slams she has won all five titles with her sister in 2000, 2002, 2008, 2009 and 2012.Wimbledon is the Grand Slam that she has won the most than any other Grand Slam and not only this Wimbledon is also the last Grand Slam title that she has won in doubles. 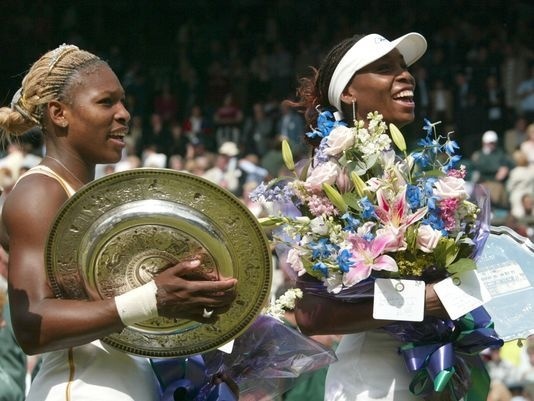 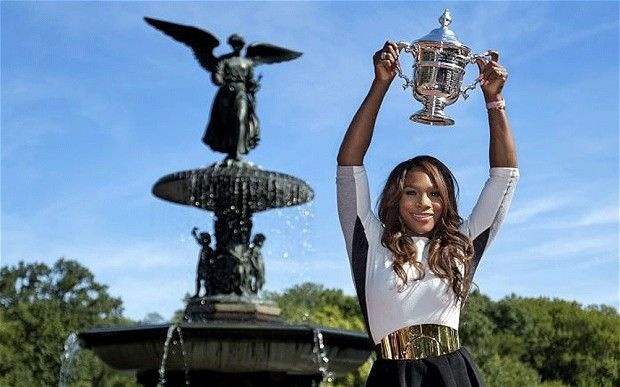 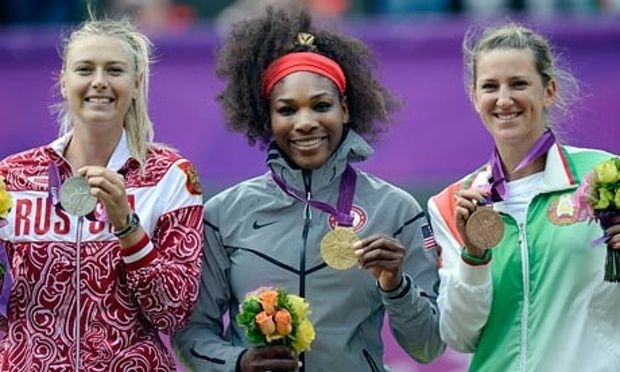 Serena has won two US Open titles and she won those titles in 1999 and 2009.As in every Grand Slam, she has won these two titles as well with her sister.